Welcome to PJs Hearth and Home! Proudly serving New Paris, PA, and surrounding areas, PJs Hearth and Home Heating provides quality heating products and services at affordable prices. 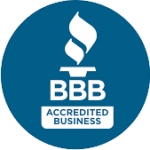 Established in 1994, we have built our business on honest, lasting relationship with our clients by providing personal attention to all of their heating needs. We provide manufacturer warranties on all of our heating products and guarantee all of our repair and installation services. Stop in today to visit our showroom! Contact PJs Hearth and Home Heating today at 814-839-0074, or browse the website for more information about our products and services. Join us on Facebook!